One of the ways in which my family keeps Christ in Christmas is to have a birthday party for Jesus on Christmas day. Little children can easily relate to a birthday party. In my house, my children often count the days before their birthday party. 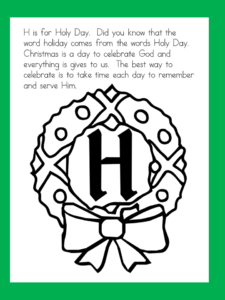 Likewise, we have an advent calendar to help count the days before Jesus’s birthday. There are 18 letters in the words ‘Happy Birthday Jesus’, so, you could start the calendar on December 7th and do one activity a day to count the days until Christmas. 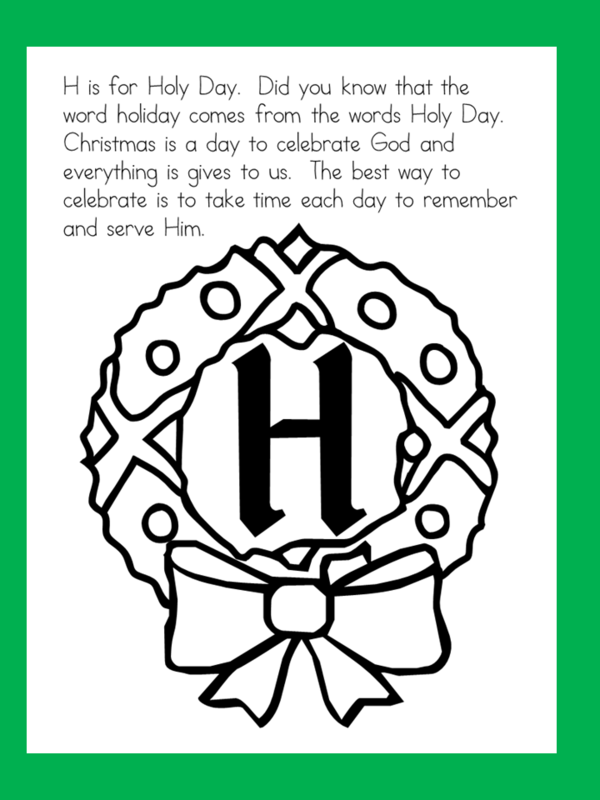 OR, you could just anticipate doing 18 activities in the weeks before Christmas and each time you do an activity, you color in a letter. 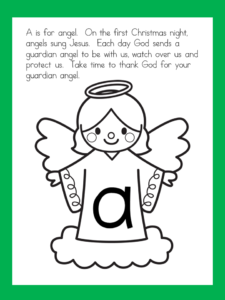 Regardless, for each letter in Happy Birthday Jesus, I have a reflection and activity for the children. D is for door to heaven. 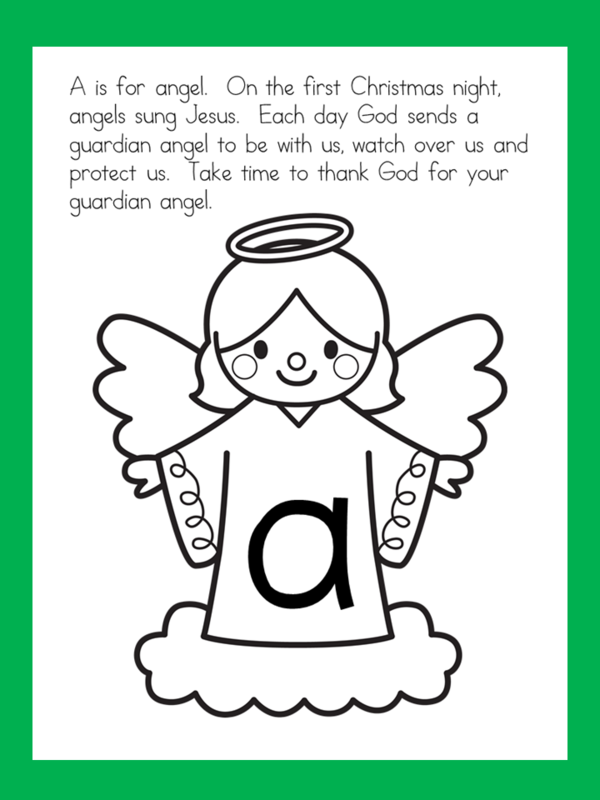 Bless your family with other creative tips for Keeping Christ in Chritmas. I hope you have a wonderful birthday party for Jesus. Merry Christmas. Hi, I am Meeghan Mousaw from Sight and Sound Reading. We teach children to learn to read for free, offer tips and free curriculum to help beginning and struggling readers, and offer free worksheets and fun ideas to help teach beginning reading. 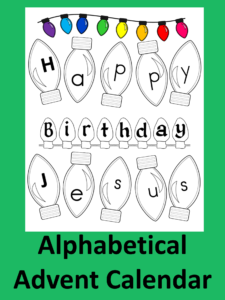 I love the idea of creating a Happy Birthday Banner for Jesus. When I was a kid and went to the Children’s Christmas Mass at my old parish, Father Rynne would always have balloons to decorate and ask the kids to sing Happy Birthday to Jesus at the end of Mass. It was something I remember (and miss) over 20 years later.